Can gutsy NFL boss take league to next level? 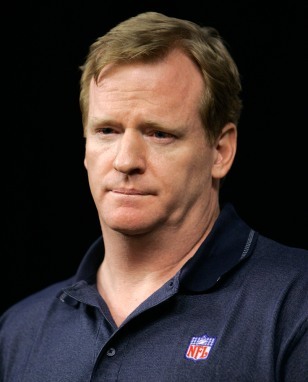 Goodell can handle dog-fighting drama but can he keep the league on top? NFL commissioner Roger Goodell barred quarterback Michael Vick, who is charged with running a dogfighting ring on his virginia property, from taking part in training camp. His next challenge? To build the NFL brand while conquering scrutiny about the game's violence and its impact on player's health.